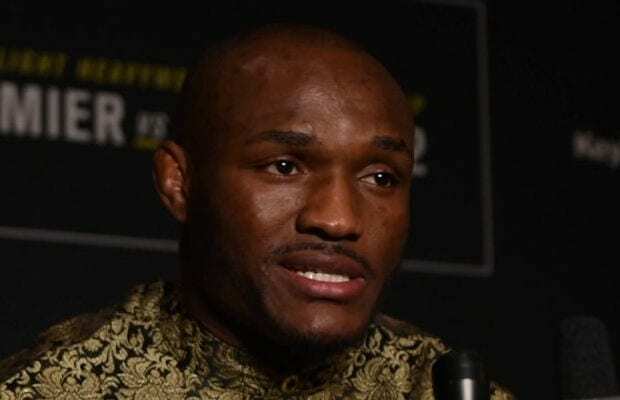 Kamaru Usman is certain he’ll become UFC welterweight champion one day. Usman served as the backup fighter for the UFC 228 main event in Dallas, Texas last weekend. Tyron Woodley successfully defended his 170-pound championship against Darren Till with a submission win. “I will be champion,” Usman said. Now that Till has had his chance at the welterweight crown, that opens up the door for young and impressive prospects such as Usman to get their shot. 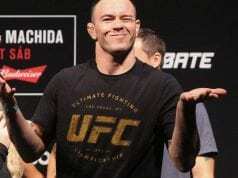 After the event, UFC President Dana White noted that Colby Covington will receive the next shot. Not only do Covington and Woodley have personal issues with one another, but “Chaos” did win the interim 170-pound title earlier this summer. Covington, however, was unable to unify at UFC 228 because of an injury. “I’m not dwelling solely on what Dana said yesterday, because tomorrow Dana could change his mind,” Usman said.